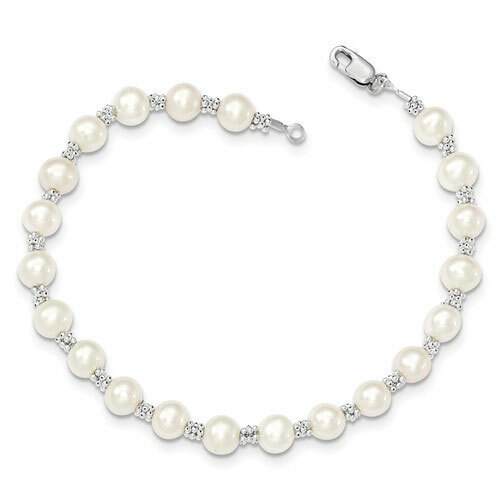 This sterling silver freshwater cultured pearl bracelet has a lobster clasp. Bracelet length: 7.25 inches. Pearls are 6mm in diameter. Weight:1.25 grams. Made in Canada.